Happy New Year! I am not the type to make New Years resolutions but I do hope to have at least doubled the contents of my Etsy store by January of 2017. I also want to be in at least one shop and do a couple more shows in 2016 than I did in 2015. I guess the most important goal is to learn lots of new woodworking techniques and have fun doing it. Remember that coffee table that I was hoping to have for sale by the end of the year? It’s still a work in progress. The piece of plywood that I used as the substrate is pretty warped, so when I unscrewed the frame to apply the construction adhesive all that potential energy turned to kinetic energy and some of the edge pieces popped out. I struggled to re fit them, then every 18 volt drill battery in the house died. I was working with the Christmas deadline looming and I had to walk away for a few days. I returned to the table Saturday and it is clamped while the adhesive dries. I have about 8 or so hours worth of work left to do on it before it is finished. I need to sand and plane the top, apply a finish coat, attach ribs to the table base and finally attach the top to the bottom. That 8 hours may take a day or a week, even a month depending on what else goes wrong. It’s funny after I finally got the pieces in place I could not find the caulking gun anywhere. I resorted to using an old closet bar and my hand to apply the construction adhesive. Working like that It brought me back to working on my first tables. 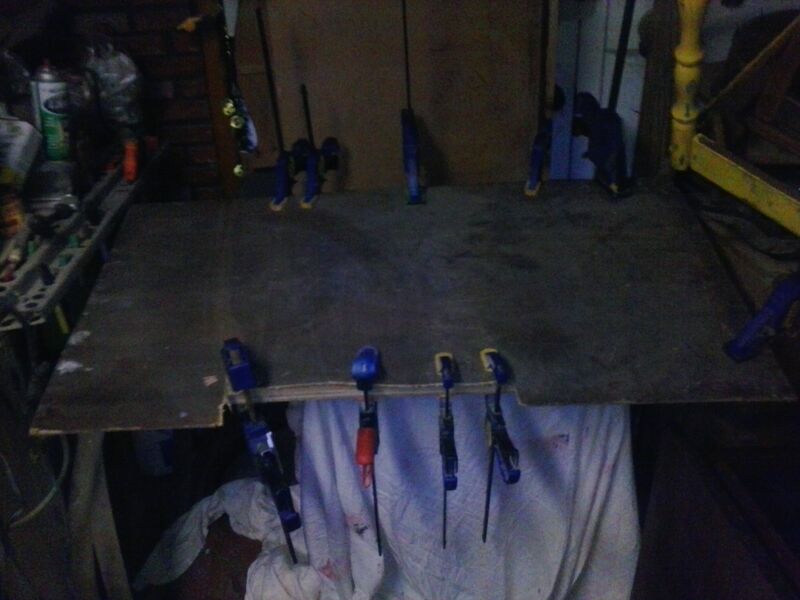 When I first started making the tables I did not have the system that I have now. I would frame out the pieces and make mosaics but once I was done I took a picture of the design, removed the pieces, applied adhesive and reassembled the pieces based on the picture. It took twice as long as it does now. Every year Christmas sneaks up on me, even back when I mostly made ornaments I never felt like I had enough Christmas stuff to sell or give as gifts. I had some cute snowman puzzles, and assorted ornaments but I could have done a lot more. I have decided that once a month I will play Christmas music and drink hot chocolate and make Christmas stuff. Hopefully I will have so much Christmas stuff I won’t know what to do with it all. 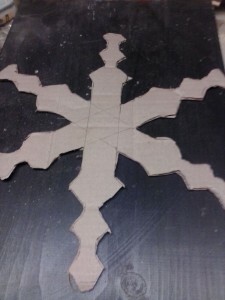 I did make a cool snowflake for my mom. It took forever to get it right. I drew many many snowflakes on scrap cardboard before I found the right shape. 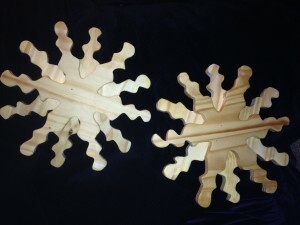 When I liked the look of the shape I drew it onto some scrap wood and cut out four snowflakes. I had planned on painting them white but I liked the look of them after I sanded them. 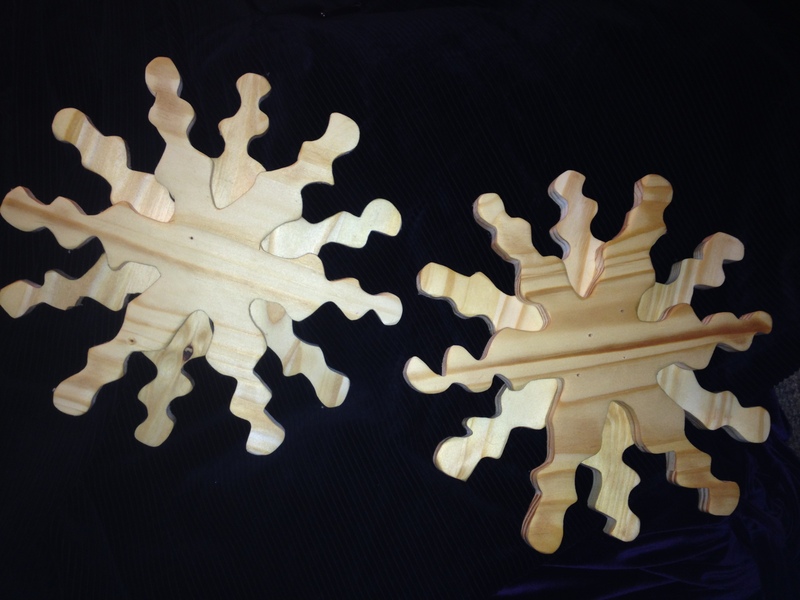 Finally I screwed two of the snowflakes together to give it some depth. It came out better than I expected and I hope to make a few more to sell. 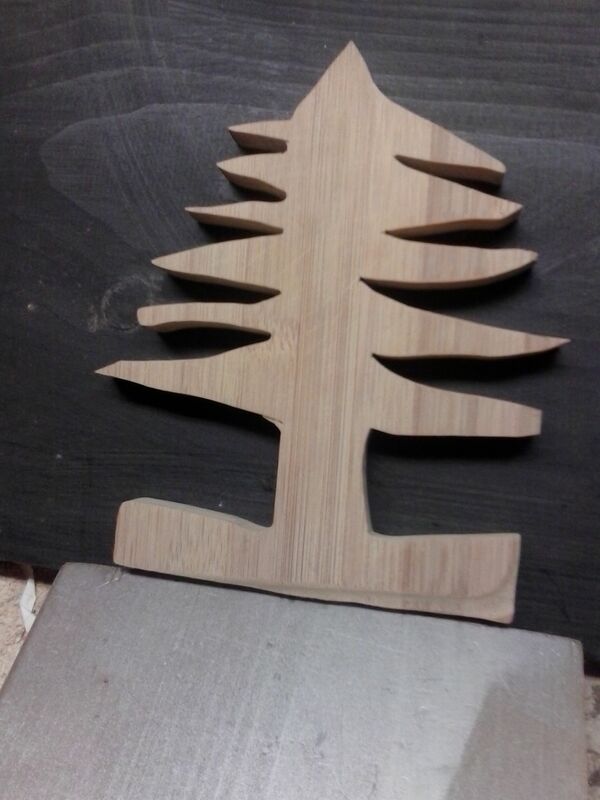 I started making little wooden Christmas trees after Christmas. I am not sure what I am going to do with them but I have almost a year to decide. I may cut two trees out and cut notches in each tree and slide them together to make a little 3d tree and drill little holes to add lights. I am thinking they either need to be a little bigger, or a little smaller. Or I could do a set of 3 with the smallest like 6 inches tall and the tallest 16 inches tall. I am definitely still brainstorming and experimenting at this point. It should be an interesting year. 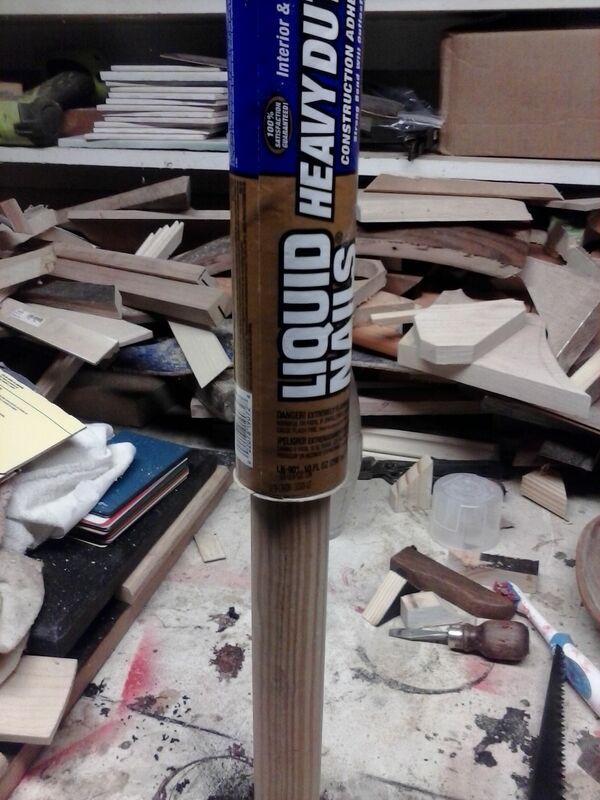 This entry was posted in old projects, process, scrap wood, tables, wood working by brighid. Bookmark the permalink.